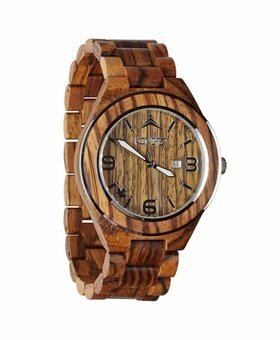 Accentuate your personal style by wearing a one of a kind wooden watch. 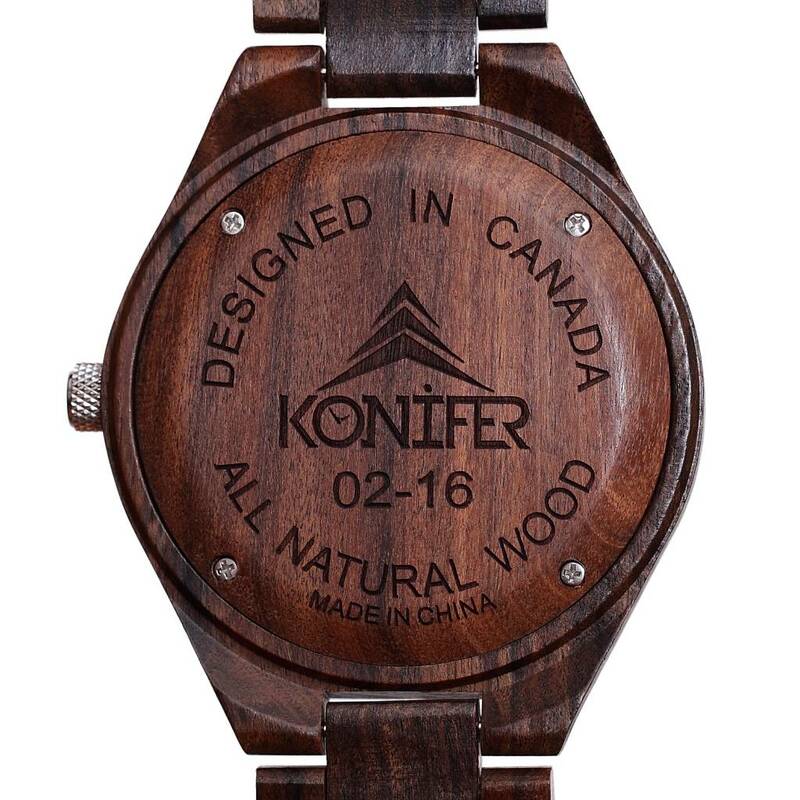 With handsome wood grain that has been finished in a non-toxic satin oil, each watch has a unique look. 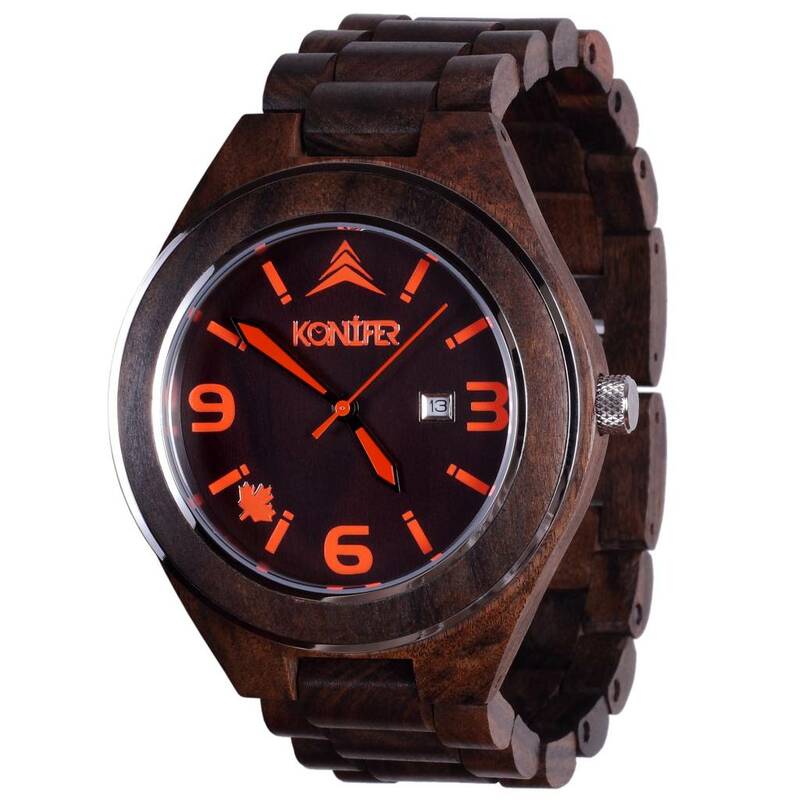 The Sequoia Chocolate watch is finished in a luxurious deep brown, giving the watch the polished appearance of professional elegance. 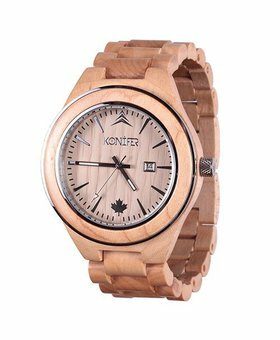 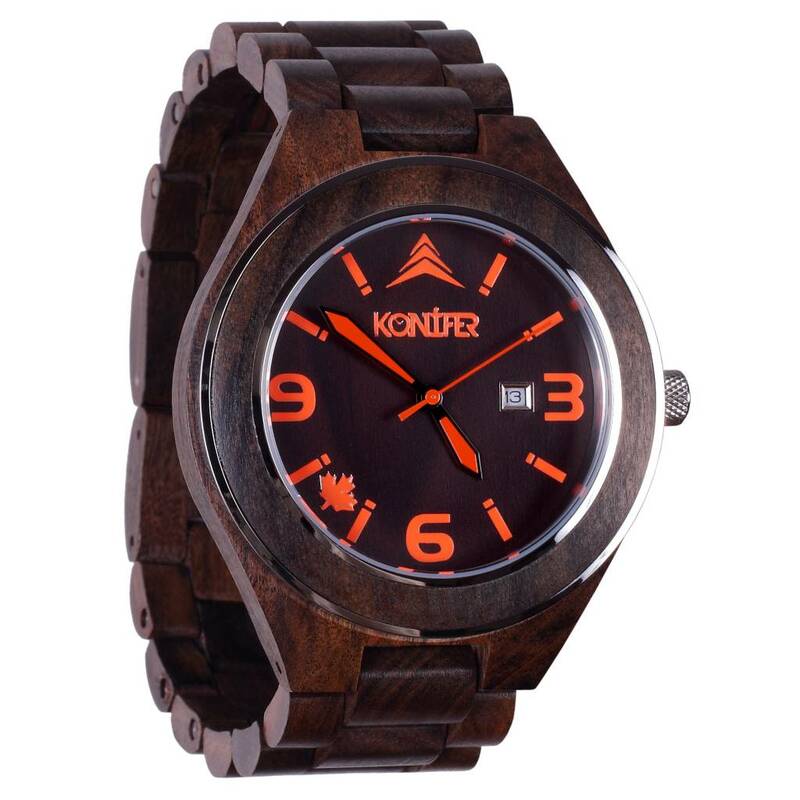 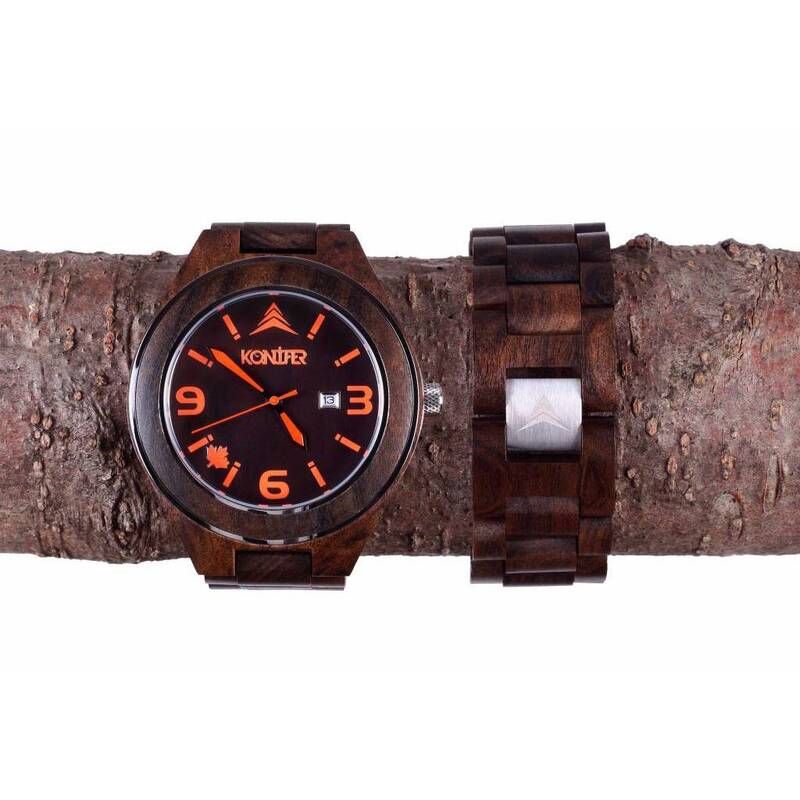 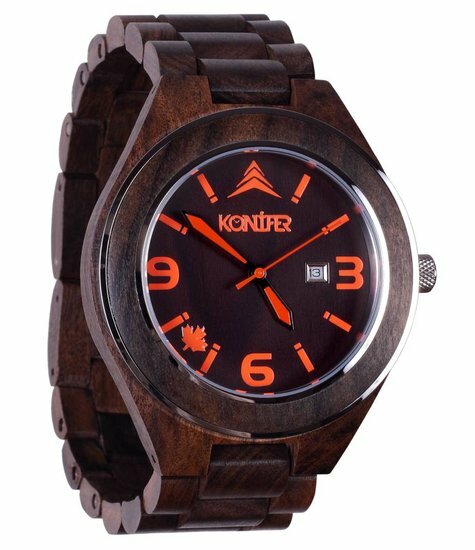 Made of ecologically friendly renewable sandalwood, this 100% handmade wooden watch exhibits a distinguished level of craftsmanship and is protected by a 5 year warranty. 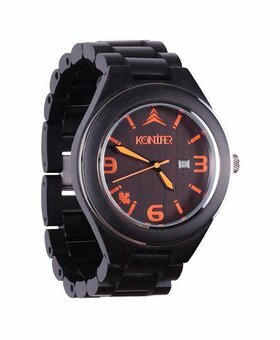 This distinctive accessory is appropriate for professional or casual wear.